Andrew Sim is looking for any former Tommies interested in playing for their old alma mater in the Molson Old Stars challenge. If you suited up for the green and gold for one game then you are eligible. Established in 2003, the Molson University Old Star Hockey Challenge is the largest and most successful alumni hockey tournament in Canada. Canadian hockey fans who know their University hockey agree....the AUS (Atlantic University Sport) is home to the BEST university hockey conference in the country, annually producing a galaxy of elite players. 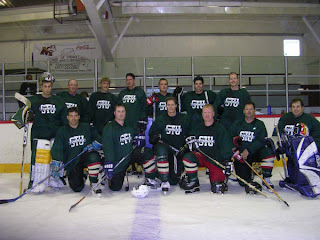 Profiling former AUS stars (many with recent pro experience), the MOLSON OLD STAR tournament features 10 teams and 18 games over a two day period. The lineup includes all the current 8 AUS varsity hockey programs along with Mount Allison and Cape Breton University, two schools that were members of the AUAA until the mid-90s.